Robotech was one of my all time favourites cartoons when I was a kid. The Story line was very unique for me compared to other cartoons at the time. Unlike Transformers that are sentient beings, these mecha you can fly and transform. What was even more cool for me is that they could even transform in three modes (Fighter, Guardian,Battloid). It was like you can be a Transformer yourself. I guess what attracted Robotech to me was the battle seance, the love story and it was a first time for me to see a cartoon character to die. that was really shocking for me. I bought the Matchbox VF/S1 from a local guy on Craigslist. He was selling his whole collection of Robotech figures. I was so shocked when I saw his collection. I knew most of these figures were never sold in my area. He later told me he bought them on ebay and other sites. The Veritech Fighter was released by Matchbox (1985), Harmony Gold (1992) and Playmates (1994). The accessories were the same with every release. It came with twelve missiles, 4, missile racks, a booster rocket pack and a gun (which was connected to the bottom). Some of the missle were missing when I bought th VF-S1 but it was something I had to have in my collection. 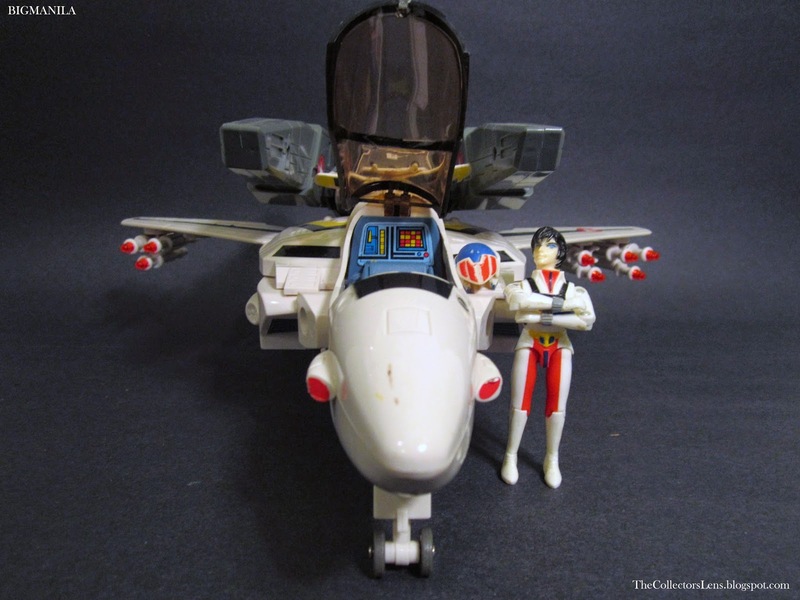 The skull and crossbones tail fins and the stickers depicting shot down Zentraedi (visible below the cockpit) are all from the Matchbox version. The Playmates version of the Veritech had a blue tinted cockpit window, blue boosters and no skull and crossbones on the tail fins. 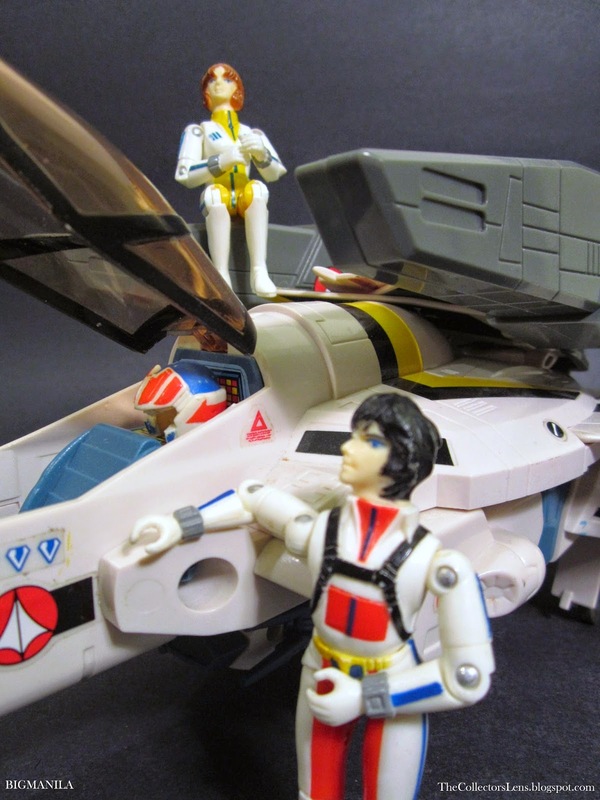 The Veritech Fighters were piloted by Rick Hunter, Roy Fokker, Max Sterling or Miriya action figures. Earth's first transformable fighter. Powered by fusion engines, the VF-1 is fully space-capable, and is carried in great numbers on the SDF-1 as well as the armor series of carriers. The VF-1 supports 3 modes of operation: fighter mode for aerospace superiority missions, guardian mode for close air support missions, and battloid mode for ground combat missions. The VF-1S "Skull Leader" is a unique fighter based on a prototype platform of the VF-1 specially designed for commanding officers of Veritech squadrons. Only a dozen of these units had been produced by the time the Zentraedi attacked Macross Island in 2009. The prototype number 001 (AKA Skull One) was the last known surviving VF-1S aboard the SDF-1. It marvelously survived through several years of battle and was never destroyed, making it a symbol of the people of Earth's fearlessness and determination. Rick and Lisa, finally together Despite the long and rocky start, Rick and Lisa form a strong and lasting romance that lasts for the rest of the Robotech Saga.They spent the next eight years overseeing the rebuilding of Earth and the construction of the SDF-3. 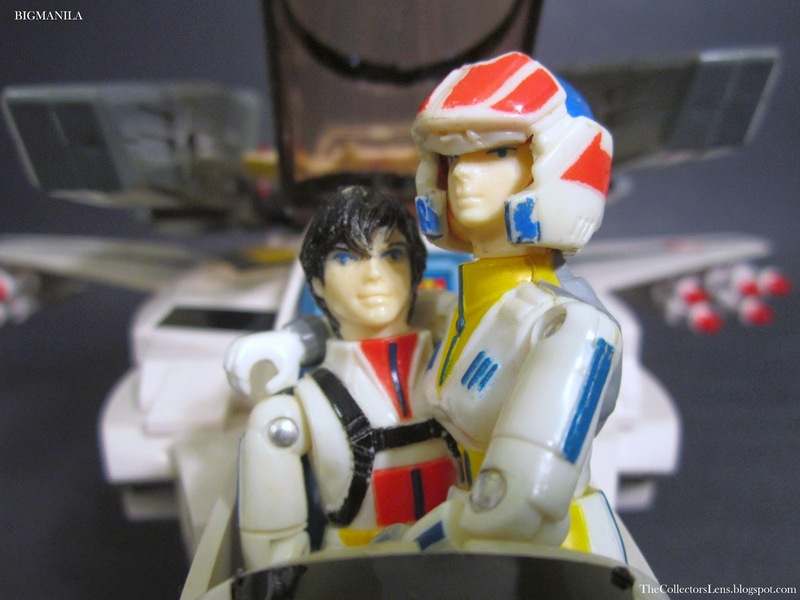 In Robotech: Prelude to the Shadow Chronicles, (set in 2043-2044) the two are still in love, despite all the challenges they have faced during the last three decades. An amateur pilot and close friend of Roy Fokker, Rick unwittingly becomes one of the major players in an inter-galactic war which could determine the ultimate fate of the human race. Although he does not approve of violence, Rick ultimately accepts the mantle of responsibility that falls on his shoulders and becomes an ace pilot in the RDF's famous "Skull Squadron." Nice set. I have one of these in my shed that's mostly intact. I'm gonna try and recover it soon. Matchbox did look into having the Veritech transform. 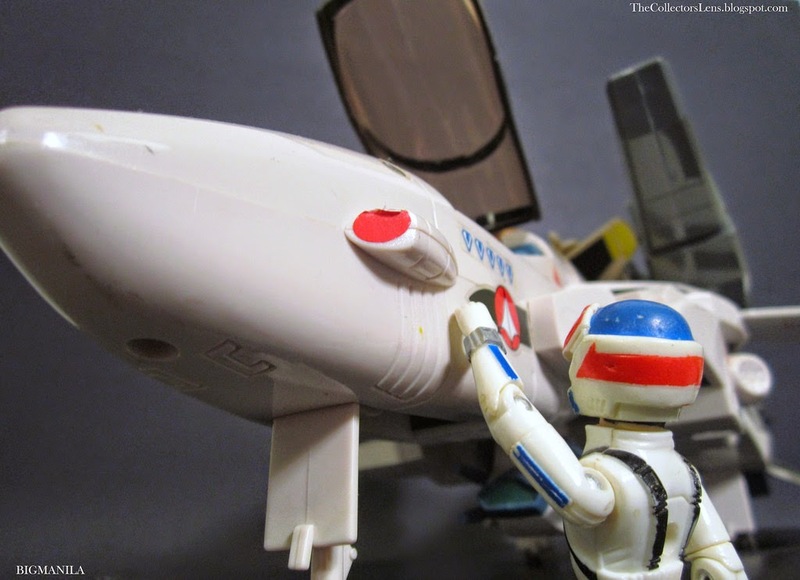 But concerns over being sued by Hasbro over their Jetfire Transformer kept the Veritech stuck in spaceplane mode. Nice, informative pictorial review. Beautiful piece. 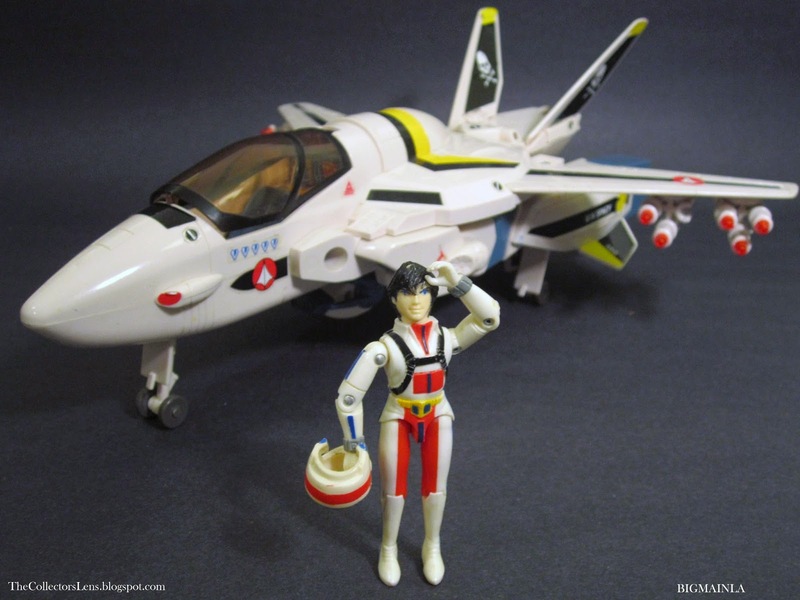 I've got G1 Jetfire, but I've never owned a Macross/Robotech Valcarie. It's a glaring omission in my collection. There are so many, and I'm never sure which is best. Any recommendations? Thanks for dropping by. For me I personally like the 1/55 scale chunky Valkaries. I like them and they are sturdy. I love the vintage remakes. Nestolgic and easy to transform and I love the way they look.